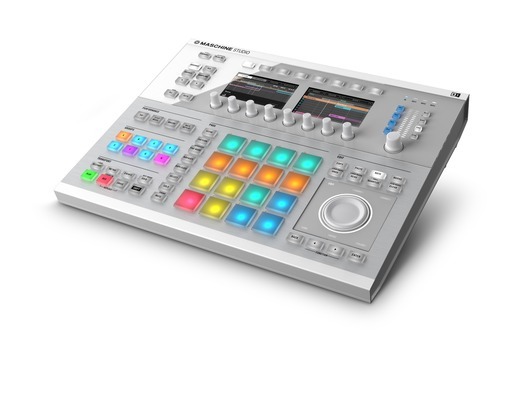 Here we have the NI Maschine Studio White in B-Stock. The B-Stock versions would have been on display at a training evening or trade exhibition only and will come boxed in mint cosmetic condition with the power lead, USB lead, original box and a 1-year warranty. 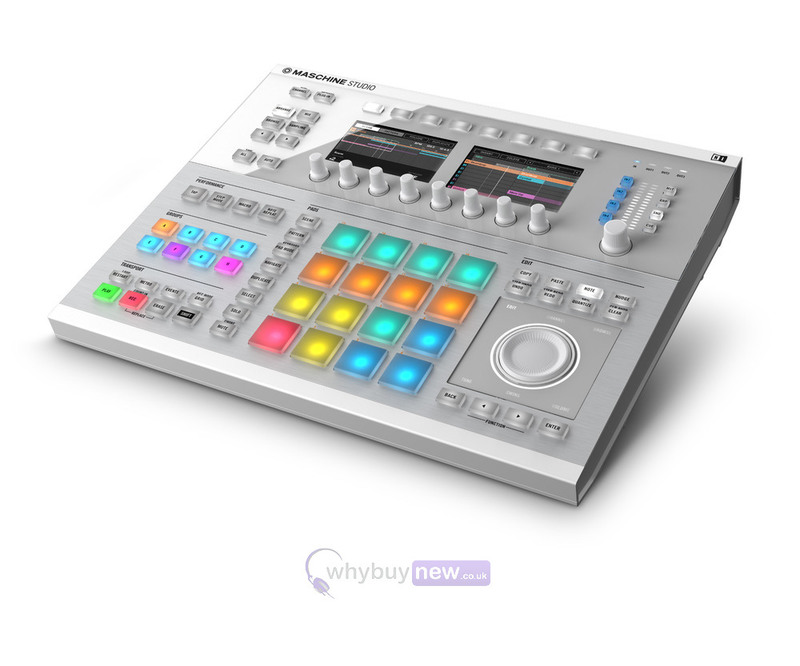 Buy this amazing NI Maschine Studio White with confidence with 100% satisfaction guaranteed or your money back. Introducing Native Instruments Maschine Studio. This flagship music production system for tactile, creative beatmaking with an acclaimed sound library. Create and perform rhythms, harmonies, and melodies faster than you ever thought possible. MASCHINE STUDIO's workflow keeps you laser-focused on the quest for the perfect groove. Its pattern-based sequencer and high-performance sampler, exemplary drum synths, incredible suite of creative effects and pro instruments, and acclaimed sound library deliver ultimate production power. MASCHINE STUDIO redefines hands-on control. Big, high-res color screens show waveforms, patterns, scenes, NI product visuals, and mixer and meter levels in full detail. Multi-color pads provide ultimate feel in the thick of the beat. Eight display knobs, edit buttons, and a jog wheel with LED indicator provide complete tactile control of MASCHINE's sequencer, instruments and effects. A dedicated level section delivers clear metering and monitoring. And a built-in stand delivers the perfect performance angle. Width: 432 mm / 17.0"
Length: 350 mm / 13.8"
Height: 58.5 mm / 2.3"